Email sustainability@plymouth.ac.uk with recommendations for recycling facilities or if you notice any problems. 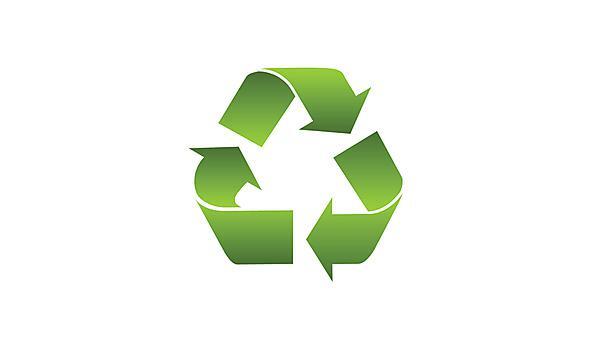 For more information on recycling facilities across campus please see the waste and recycling page on the Environment Community intranet pages. We recycled 42 per cent of our waste in 2017-18 – and generate 32kg per student per year. To reduce the amount of waste generated per staff and student, and to increase the proportion of waste recycled. Raise awareness around waste and recycling for students and staff. In 2017–18, we generated 32kg of waste per student. In 2017–18 we recycled 42 per cent of our waste. There are facilities across campus for you to recycle you waste. For more information on this, please read the information on the Waste and Recycling page on the Environment Community intranet pages. The University now has a mixed recycling collection scheme, meaning that all recyclable materials (except glass) can be mixed together in the same recycling bin across main campus. We are hoping this will remove any confusion about which bin to use, and hopefully increase the amount of recyclables we divert from the waste stream. There are a couple of items that we find commonly in the recycling bins that shouldn’t be in there: disposable drinks cups, tissues and used paper towels and any type of plastic bag or plastic film should go into the general waste bins as they cannot be recycled. What can go in the mixed recycling bins? Please flatten cardboard items and drain beverage items first. What can’t be recycled and should go in the non-recyclable bins? For glass please take this to the bottle bank located in Scott Car Park. For more information about this and where to recycle your other more specialist waste such as batteries or electrical goods please go to the Environment Community intranet pages. We have a dedicated team of staff on campus who manage our waste in the waste depot on campus. The depot is a hub of activity where the team collect the waste from the bins around campus. But it doesn't stop there. They take apart broken chairs, desks and bits of furniture to separate wood, plastic and metal. And they collect electrical waste – officially known as Waste Electrical & Electronic Equipment (WEEE) – to maximise recycling. We stop waste that has the potential for a second life from reaching the waste depot. With an extensive furniture store on campus, we store furniture until it can be redistributed to other University offices. This reduces waste, and reduces University spending on furniture. Some of the items which aren't suitable for our offices any more are sold to other users. The University separately collects electrical waste, most of this waste can be reused, refurbished, saved from landfill and given a second life. Items which are beyond repair are dismantled and the components recycled. Nearly 30 per cent of us in the UK throw away electrical items in the bin, but if you dispose of it properly it can be refurbished and resold, or recycled, containing many valuable parts. The University provides two routes for you to recycle University electrical waste and departmental electrical waste. For more information on this, please read the information on the Waste and Recycling page on the Environment Community intranet pages (log-in required). What to do with your electrical waste at home? We want to remove food waste as much as possible from the University. In 2013, we introduced food composting from the catering outlets and in 2017–18 we collected 16 tonnes of food waste. All food waste produced is recorded, and then taken to an anaerobic digester at Langage farm. The University reduces food waste by donating near date food to local charities. The University has a dedicated student led group, UNICYCLE, who redistribute food resources that would otherwise go to waste. They are currently working with UPSU, the George House homeless hostel, Devon and Cornwall Food Association (DCFA) and Plymouth Food Partnership. All of our disposables are fully compostable and our used cooking oil is collected and turned into biofuels. We have a furniture reuse store on campus, where all furniture that is no longer needed due to office moves, and that is still in a useable condition, is stored for future use. The 240m2 space is full of reusable office furniture from desks and shelves to swivel chairs. It is estimated that our reuse store saved £60,695 in furniture costs in the year 2016-17 and £36,055 in 2017-18. Any furniture that comes into the store that is no longer suitable for our use is collected by a local charity for resale. Furniture that is no longer fit for purpose is dissembled in our yard for recycling. Our goal is to reduce the number of disposables cups used and then disposed of on campus. It’s estimated that 2.5 billion paper coffee cups are being thrown away in the UK every year. That’s almost 5,000 a minute, or 7 million per day. From the 10 September 2018 use a reusable cup at our campus cafes and get a 20p discount.